"Richard has worked on both our home and our rental property. He arrives when he says he will, gives us the price before he does the work and does very good work. I especially appreciate how clean he leaves things when he is done. I have already recommended him to several people and will continue to do so. He&apos;s a great guy who we are confident we can trust and seems to really care." "Richard was super timely, friendly and honest about our plumbing issues. He gave us several options to look at when our water heater broke. We love our new tankless water heater - I would never go back to a tank. He had the tools and knowledge to get the job done right and we are so happy to be able to run the dishwasher and take a shower at the same time. Plenty of hot water to go around now. Thanks Richard!" "Absolutely WONDEFUL! Richard was polite, professional, knowledgeable, efficient and thorough. He arrived on time and worked diligently throughout the entire appointment, making sure to cause the least disruption to our business - and he totally cleaned up after completing the job. I have pretty high standards and expectations, and I will DEFINITELY call him again if I have a need in the future - AND I will recommend him to others without any hesitation." "Richard was the first one I called on an after hours emergency sewer clean out. His professionalism was something you always hope for when you need help. He answered the phone, gave me a time he would arrive, actually arrived when he said he would, diagnosed the problem and did the job in a timely fashion at a reasonable price. Richard is now MY plumber." 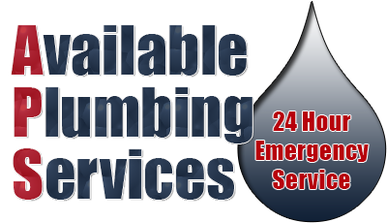 "Richard of Available Plumbing Services is the only Plumber my neighbors and I use for our plumbing sevices. He has done everything from snaking our drains to replacing water heaters. He is honest, reliable, and goes out of his way to make sure the job is done right. We are lucky to have him in our area!"